Join the fun! Mickey and his pals are throwing an ugly sweater party, and you're invited. Made from high-quality stoneware, this red Mickey Mouse Ugly Sweater 20 oz. 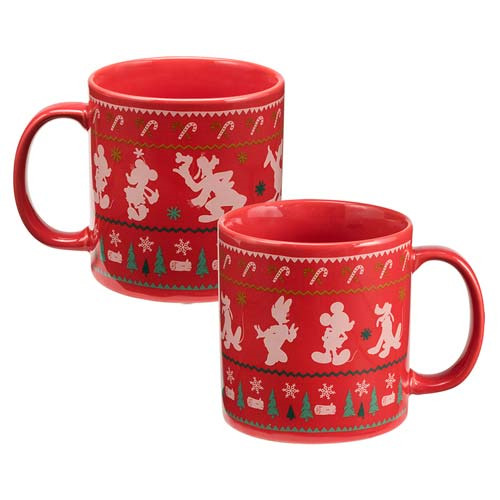 Ceramic Mug boasts bold and bright designs that include Mickey, Minnie, Goofy, Pluto, and more! Measuring 4-inches tall, the mug is dishwasher and microwave safe. It arrives in a full-color gift box. Ages 13 and up.